Being the most respected organization and with the guidance of experienced professionals, we provide a wide gamut of Glass Decanter for our valuable clients. Offered product is highly appreciated by our patrons for their features. Additionally, these products are an exclusive collection in pink shade with leaves carved. - · IMPRESSIVE ART GLASS – The impressive art of handblowing makes makes each piece unique. King International crystal-clear Glass Decanter Set is the most durable, most beautifully designed and best-manufactured glassware on the market. 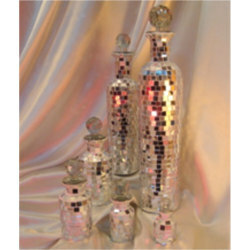 Glass Decanters that we offer are made from the best quality glass under the expert supervision of trained artisans. This is the reason why the Glass Decanters, manufactured by our company, are popular in domestic as well as international markets. 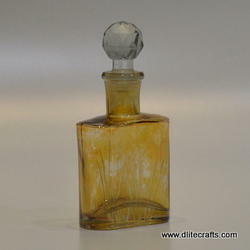 We are one of the top Manufacturers, Suppliers and Exporters of Glass Decanters. 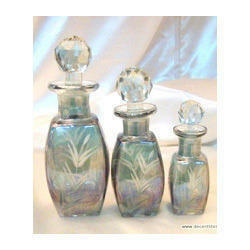 Avail a wide collection of exclusively designed Glass Decanters from us. 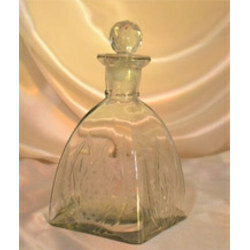 Glass Decanters we offer are made from superior quality material and are available in wide variety of options to choose from. 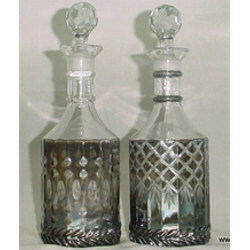 Clients can avail Glass Decanters in exclusive designs, styles, patterns, etc. - Material - Crystal Glass.